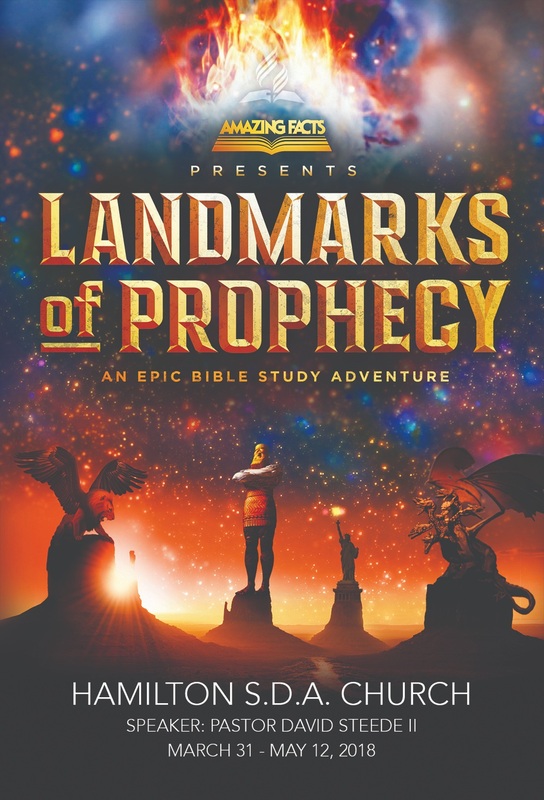 The Hamilton Seventh-day Adventist Church will be hosting the Amazing Facts ‘Landmark of Prophecy Series’ from March 31 to May 12. 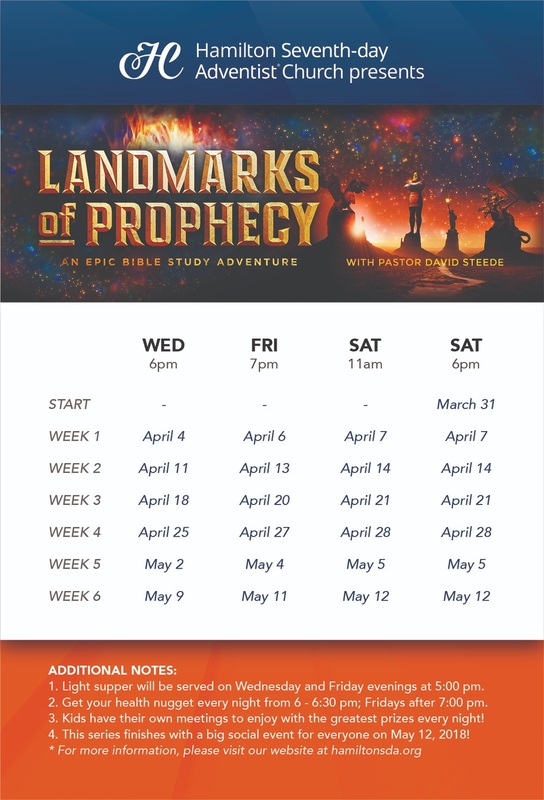 “The Bible studies will be Saturday mornings, during the 11.00am service, and continuing in the evening at 6.00pm. “During the week, services will be Wednesday and Friday evenings. A light supper will be offered at 5.00pm, with Health Nuggets from 6.00pm to 6.30pm. “The series finishes with a big social event for everyone, young and old, May 12. « What Are Your Views On Future Of Tourism?